At long last, Churchill Downs Inc. entered the NJ online gambling market with BetAmerica Online Casino. BetAmerica is a new player in the New Jersey gambling site platform arena, but it is shaping up to be a contender. The Company undoubtedly has soaring aspirations for this platform, which shows in its branded design. Every player in the state of New Jersey is happy to welcome this new online casino. BetAmerica Online Casino knows that bonus offers and promotions are the way to a player’s heart. Therefore, it made sure that the platform is ripe with a few enticing deals. BetAmerica casino also has an attached NJ sports betting app that’s integrated into the site. The BetAmerica sportsbook is powered by SBTech. BetAmerica is maintaining the tradition of many online casinos in keeping the first-deposit bonus. Right now, BetAmerica players can take advantage of a 100 percent match of up to $500. That’s right, new players who are trying out the deposit portion of this platform will be matched, dollar for dollar, up to $500. While the platform does not mandate that this bonus is maxed out, it would behoove players to take advantage of this one-time offer. Before players even think of depositing, though, newcomers can take advantage of the free $20 mobile promotion. This is free-play money with no deposit required. Recipients of the free-play cash can bet throughout the BetAmerica platform. This makes it a perfect opportunity to try something new. All players must do to take advantage of this deal is to sign up and log in. New to the NJ online casino market, BetAmerica's app is a fully integrated online gambling site with both casino games and a legal NJ online sportsbook. While game selection is pretty great, the site is heavily geared toward sports betting and it shows in that there are few online casino promos. That being said, the app is easy to use, super quick and responsive and fits well in the crowded New Jersey market. The BetAmerica mobile NJ casino is accessible through Android devices or a browser. Currently, iOS devices are not able to receive the BetAmerica mobile NJ casino app, even though there is an icon at the iTunes Store. Hopefully, this means that the app will be available for Apple users soon. Between the BetAmerica browser and app, there are not many differences in the appearance or function. Both are easy to navigate and simple to access. Plus, the mobile version allows players to interact with the platform with the same ease as on the desktop. Here is a breakdown of how to access the application on both Android and desktop devices. Android devices make it simple for players to download the BetAmerica Online Casino app. After visiting the BetAmerica Online Casino website through the preferred mobile device, the player should scroll to the bottom of the screen. Once there, the player will see the icon that indicates the application download process. After completing the download process, all that is left to do is to log in (or sign up). When opening the application, the player will be brought immediately to a sportsbook. Don’t worry; this app is duel-functioning. There are options at the bottom of the page. These options are also on the navigation bar at the top-left of the screen. However, the bottom is the easiest to see. The player can click on the “Casino” tab to go to his or her preferred area. From there, the player can continue as usual. The browser version is easy to access since there is no download required. All the player must do is to go to BetAmerica’s website and log in. Players have a choice to toggle between the casino, sportsbook and horse-racing portion of the platform throughout this process. This aspect can be convenient for those who are looking for both the sportsbook and the casino. Yet, those who are in search of only the casino might find this a little frustrating. After all, the homepage is the same as the app and the sportsbook. What is great about BetAmerica Online Casino? BetAmerica Online Casino gives players a visually appealing, easy-to-command platform. Once players are navigating through the BetAmerica Online Casino, there is plenty to do. There is sure to be something for everyone. BetAmerica Online Casino is easy to manipulate, whether the player is on the mobile version or the desktop. The functionality of this app is easy to grasp, and the navigation is expertly marked. Regardless of what a player is looking for, the simple function of this application makes it exceptionally easy to find. There are plenty of different types of games on this online casino platform. Most of the standard functions are available, but there are a few variations that are unique to the platform. A few of these distinctions include high limit, ways, steppers and jackpots. While these types of games might be speckled throughout other platforms, BetAmerica Online Casino makes them easy to find. BetAmerica Online Casino is also incredibly quick and responsive. The beautiful graphics found on this application do nothing to hinder the speed of this platform. Sometimes, speed is sacrificed for quality and vice-versa; yet, this is not the case with BetAmerica Online Casino. 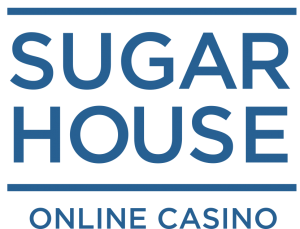 Players enjoy a visually stimulating, state-of-the-art digital wagering oasis, without having to wait a long time. There is good and not so great in all. While the BetAmerica Online Casino has its positive points, there are a few areas where the platform can improve. Here are three of the ways that BetAmeica Online Casino is not so great. The BetAmerica brand has a lot of branches. There is the casino portion, of course, but there is also a sportsbook and a horse-racing portion. This is all well and good. In fact, it is common for platforms to house multiple branches. However, most of these branches are more solidified; especially when it comes to the casino. Usually, the casino gets a lot of attention. Not only is this not the case for the BetAmerica platform, but the casino is also a little slighted. Throughout the entire platform, it seems that the sportsbook takes over. While the platform might be proud of the sportsbook, there is still more to the brand than just the sportsbook. Players, especially those that do not have an interest in the sportsbook, could be turned off by the current platform. Promotions are great. They get players to venture out of their comfort zone and encourage new players to try a platform. The online gaming industry is full of specialized areas that are ripe with promotions. However, the BetAmerica platform is not great at grasping this concept; at least, not for its casino. The sportsbook, once again, has its promotions. These are promotions that are centered around (and even graphically depicting) sportsbook themes. Though there are a few mutually beneficial promotions, each geared toward sports. The casino portion of BetAmerica is not granted one exclusive promotion. That seems a little strange and slightly ostracizing of the casino community. There is a free-play option for the casino; yet, it is a little confusing. There is also a free-play option for the sportsbook. This is a great feature for both avenues. However, the two free-play options are not represented equally. Whenever “Freeplay” is picked on the navigational menus, players are directed toward the sportsbook. The only viable way to receive true free-play from the BetAmerica Online Casino is by going to the specific game. Once on the game, there is an option to “Try for Free.”Once clicked, the chosen game will work appropriately. Slots come in a variety of different packages. As per most casinos, both digital and physical, the slot portion takes up most of the casino inventory. However, there is a method to the different types of slots that are available on the BetAmerica platform. From the start, the brand makes sure that its vast collection does not get overlooked. Attention all high rollers: For players who are looking to try their luck in a high-limit atmosphere, this section is a paradise. A bigger risk is a bigger reward. While this slot machine tier is a cut above the rest, there are a few favorites, calibrated correctly to fit the taste of BetAmerica’s slot VIPs. Casinos, both physical and online need blackjack as a part of their repertoire. It is a classic game that many players, throughout the generations enjoy. This is something that BetAmerica is aware of; therefore, while there is not a large assortment of blackjack games, they are on the table. Video poker is a marvel of modern technology that players across the United States enjoy. BetAmerica knows this and made sure this was well-represented within its new online casino. There are plenty of different video poker games for the poker kings and queens in our midst to enjoy. Plus, many of them are classics, which hold a special place in the hearts of true video poker fans. Currently, the table games in this category are forms of roulette. This is a special treat for players because alternative table games like these are sometimes left out. Jackpots: This is the spot in the online casino game manifest that is sure to garner attention. The following games not only have jackpots, but they are also endowed with mega jackpots. This means that players who try their luck with these games could end up winning big. Ways games are straightforward and lots of fun. These games are named such because there are multiple ways to win. Take the Wheel of Fortune, for example; there are plenty of ways which a player could score some cash. There is no need to step lightly with these exciting games. This is where players are going to want to give it their all. The closer players get to the top — or step to the next level — the more they win. Steps are games that evoke high-adrenaline gaming adventures that players cannot get enough. Its customer support is not the most innovative part of the platform. Yet, it also is not unresponsive either. It is just not as communicative as some of the other platforms. After all, there is an FAQ section. Unsurprisingly, the FAQ section is not overly helpful when it comes to the casino. However, there is a basic wallet, and it answers all the download questions. If there are specific questions, there is a chat option, but it is not 24/7. There is a phone number (1-866-607-7929) that players can call between the hours of 9 am-2 am EST. Finally, there is an email: [email protected]. While the email option is always available, the answer probably will not be received until regular operating hours. Though this is not terrible, when people are online, they usually expect a little more promptness. The BetAmerica platform offers excellent security. While there are a few unique aspects that are platform-wide, each portion of the brand carefully considers safety. BetAmerica knows how important it is for its players to feel secure across their platform. Thus, it uses recognizable brands to cover financials and a “strong authentication” process (Players must opt into this option.). Banking at BetAmerica Online Casino gives its players a choice without sacrificing their safety. The financial aspect that this platform offers players is revolutionary and unique to the BetAmerica brand. This is odd, however, since it utilizes all the usual payment methods that plenty of other platforms use. Hopefully, other platforms will follow the BetAmerica example, at least in this aspect. It certainly makes things easier for players. Neteller: Neteller works within the US, and is another digital wallet. It works similarly to the other digital wallet options and offers the same benefits. For those who wish to keep their financials organized and separated, this is another excellent option. Play+: Play+, which is backed by Discover, offers a fast and easy method of payment. Funds are reachable via card (Visa, Mastercard, Discover) and a checking account. With this option, players can use ATMs with their card and make purchases directly while using the same places that a Discover card is accepted. PayNearMe: PayNearMe teamed up with 7-Eleven stores throughout New Jersey. This is a system that is accessible with cash, card or even the wallets on your mobile device. Skrill: Skrill is a lot like PayPal. Basically, it is a digital wallet that can keep play funds and personal funds separate. What are the withdrawal options for the BetAmerica Sportsbook? BetAmerica has quite the revolutionary viewpoint on the finances throughout the platform. This is one similarity across the platform that is highly regarded by players. Cash via the Golden Nugget AC cage: Usually, there is no minimum with this option. However, BetAmerica has chosen to set a minimum withdrawal amount of $10 to use this method. 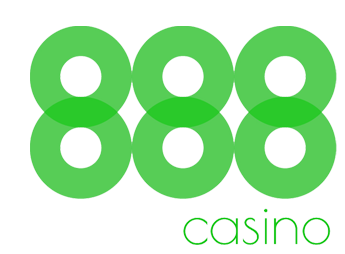 888 has been hard at work increasing the game count in their online casino. In the last month they’ve added 38 new titles, including 3 new table games and 35 slots, bringing their total up to 289. Their newest table games include Let It Ride, French Roulette and Three Card Poker. Many of the slot additions are older titles that have proven successful and have a long life, including Zeus God of Thunder, Jackpot Jester Wild Nudge, Doctor Jekyll Goes Wild and Monopoly Bring the House Down.